President Joseph Kabila seems to have secretly chosen Moise Katumbi; the governor of Katanga as his runner for the 2016 presidential elections in the DRCongo. According to credible sources, Joseph Kabila told the French President; François Hollande that there will be elections in 2016 and he will not be a candidate. On the question of who could succeed Joseph Kabila, the name; Moise Katumbi surfaced in the said conversation. Kabila, it’s said does not want his friend, Governor Moise Katumbi; Secretly refered to as Kabila’s Congolese ‘Dmitry Medvedev,’ to be the target of the radical opposition as this may spoil all his chances to bounce back in 2021. Sources say president Joseph Kabila and his friend; Governor Moses, with the ruling party inner circle have agreed that Once Katumbi becomes president in 2016, the constitution will be changed so that future presidents; from 2021, will be appointed by indirect suffrage. 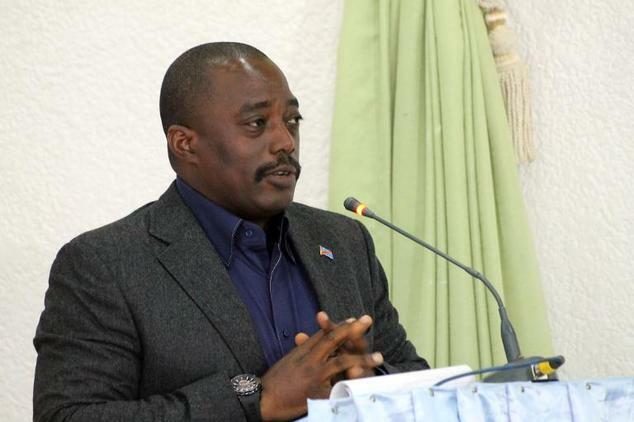 Kabila, would then be a candidate in 2021. * His gifts do not stop only in Katanga He made donations in Kivu, Kasai and Orientale province. * He reassured foreign investors during the business forum in Katanga Lubumbashi it is there to guarantee their investments in Congo. * He is increasinglu articulating his dreams of creating a middle class in Congo. * The Katanga Governor has been holding meetings at TP Mazembe in recent times to prepare for the post Katumbi era in the privince. * Frequent trips to Kasai and holding rallies where people asked him to bring the changes he he made in Katanga to Kasai. * He has made peace with his long time “nemesis”, Jean-Claude Muyambo Kyassa. * President Kabila recently asked Governor Katumbi to receive the ambassador of the United Kingdom to Congo. WHO IS MOSES KITUMBI CHAPWE? He was a member of the People’s Party for Reconstruction and Democracy (PPRD) until 2015. He has been described as “probably the second most powerful man in the Democratic Republic of Congo after the president, Joseph Kabila. Moses Katumbi is born to a Congolese mother and a Jewish father, Nissim Soriano, who fled Rhodes island between the two world wars when it was controlled by Fascist Italy. He settled inKatanga, near the Moero lake. He developed a fishery business that his brother, Raphaël Katebe Katoto took over. Moses Katumbi studied at the Kiwele school of Lubumbashi and the Kapolowe mission where he obtained a State diploma, graduating in psychology. He then managed his brother’s business and starts other activities in Zambia where he has learned English and followed management classes. In the fishery business, Moses Katumbi has provisioned mainly the State-owned mining company, Gécamines. He developed his busness frnachises in Zambia and diversified rapidly to other sectors like transport, trade and food supply, besides mining. In 1987, he created the holding Etablissement Katumbi to aggregate all his business interests. Ten years later, after a period of diversification, he created MCK (Mining Company Katanga) which recovered 80% Gécamines’ copper and cobalt mining activities. 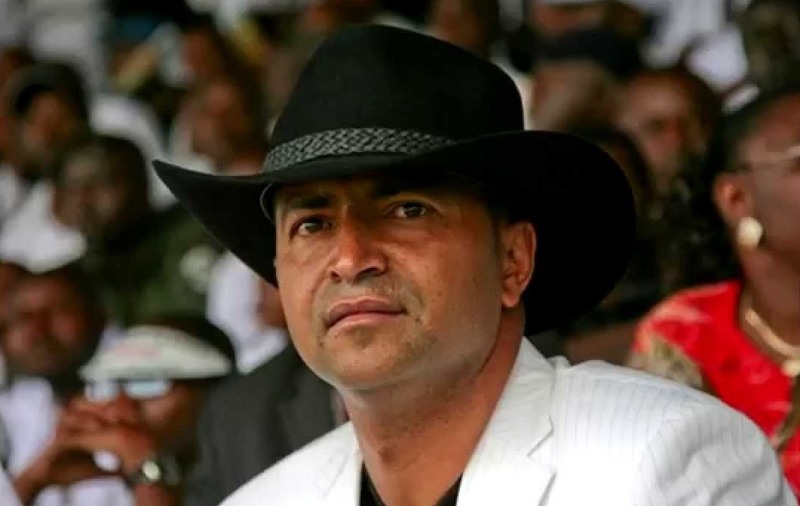 Since 1997, Moïse Katumbi is also the Chairman of Africa’s richest football club TP Mazembe based in Lubumbashi. The team has won four times the CAF Champions League with last successes in 2009 and 2010 and has played the FIFA Club World Cup final in 2010 in Abu Dhabi. In January 2012, he was elected at the FIFA strategic commission. In 2006 and 2011, Moïse Katumbi supported Joseph Kabila’s campaigns to run for President of the Democratic Republic of Congo. In 2006, he was elected as a Deputy in the National Assembly before being elected as Governor of the Katanga Province in January 2007, receiving 94 votes out of 102. In 2013, following the State Constitution of his country, Moïse Katumbi announced that he would not run for a second term as Governor. For the 2016 presidential elections, many national and international observers see him as a potential candidate and successor to Joseph Kabila. On 30 September 2015 he resigned as Governor. Shortly after he took office as Governor of Katanga, Moses Katumbi implemented an export ban for raw minerals, thus forcing major mining companies to build transformation units in the province. Since 2007, he has increased the province’s revenue through local tax collections from $80 million to more than $3 billion by fighting corruption and increasing exports of copper cathode. These revenues were used to build schools, roads, hospitals, and bring clean water (from 3% to 67% with access to clean water) to numerous poor populations. His performance as governor has made him a darling all over Congo. Moses Katumbi Chapwe is married to Carine Katumbi.